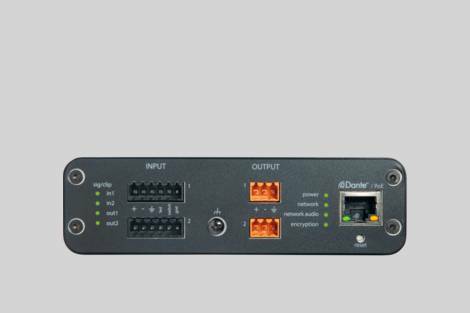 Audio network interface converts up to 2 line or mic signals from a Dante network for easy audio routing and convenient browser-based remote control. Audio network interface converts up to 2 line or mic signals from a Dante network for easy audio routing and convenient browser-based remote control. 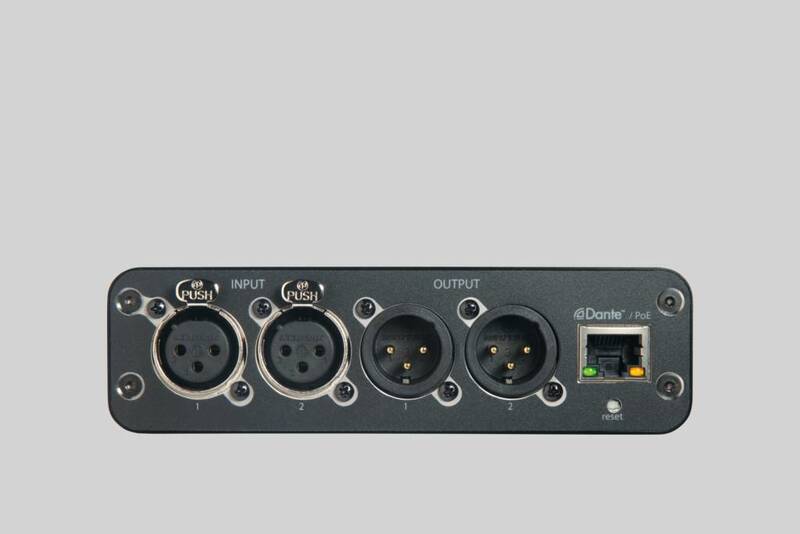 Audio network interface complements the existing ANI4IN and ANI4OUT products. More flexibility for every kind of application where it is required to get analog audio onto and from a Dante network: The ANI22 Audio Network Interface complements the existing ANI4IN and ANI4OUT products, and is available with XLR and block connectors. It brings up to two line / mic signals onto or from a Dante network for easy audio routing and convenient browser-based remote control.